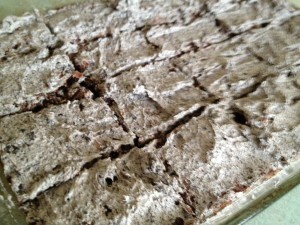 Here is what you’ll need to make your new favorite brownie! Prepare brownie mix as directed on package. Crush about one row of Oreo cookies (You can measure out about 1 – 1 1/2 cups worth if you like….I just eyeball things). I left mine in decent sized pieces. Stir the crushed cookies into the brownie batter, and bake as directed. Spread the deliciousness that is your frosting on top of the cooled brownies. Try not to eat the whole pan yourself. Or do. Life is short. Oh yum! Found you from Chef in Training!